Are you ready to build strong construction safety reflexes that reduce and eliminate dangers and hazards on the jobsite? TradeSource is a recognized leader in construction safety and risk management. We work with you to ensure that you have the necessary safety training to soundly perform your construction skills while focusing on increasing productivity. TradeSource also has multiple in house OSHA 500 Certified Trainers to ensure our continued focus on safety. 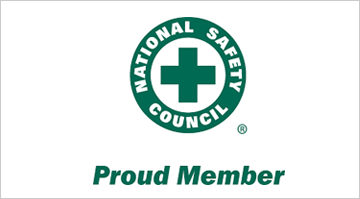 Additionally, TradeSource is a member of the National Safety Council and strives to create a culture of safety within our workforce. Want to learn more about our safety program, or have a question?